As I have said in previous blogs, to the Europeans, antique jewelry is considered to be pieces that are over 100 years old. 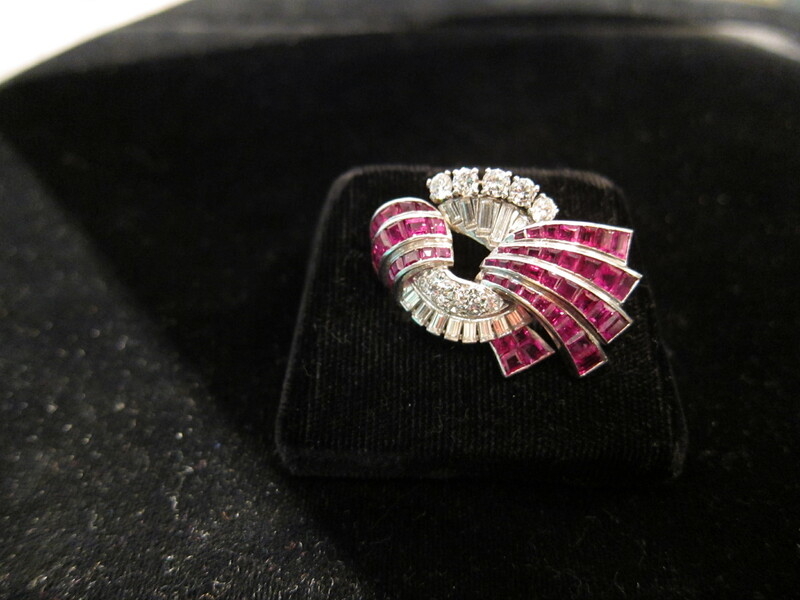 Other pieces would be described as Period Jewelry such as Edwardian, Art deco and Retro Jewelry. Also as I have said previously many Americans lump this altogether with secondhand pieces, and call it Vintage Jewelry. When I first started in the Antique jewelry business in the mid 1980's the Edwardian and Art deco Jewelry periods which started in the 1900's and 1920's respectively, would have been considered as almost contemporary. But now about thirty years later in 2018, we can see the Edwardian period has already reached 'Antique Jewelry' as being over 100 years old, and the early Art deco jewelry period, will also soon come under the same remit, as far as antique classification is concerned. The Art deco period for most antique jewelers would be considered to cover the period from 1920-1935, though I know some who take it up to the 1940's (I personally do not). But one thing you can say of all of this Art deco almost antique jewelry time period; is the liberated styles now developing, and the rise of artist-jewelers such as Jean Fouquet, Gerard Sandoz, Rene Bovin and Raymond Templier, to mention just a few of the leaders in this new movement. Alongside the works of these antique artist-jewelers, the great jewelry houses of Boucheron, Cartier, Mauboussin, Tiffany among others. 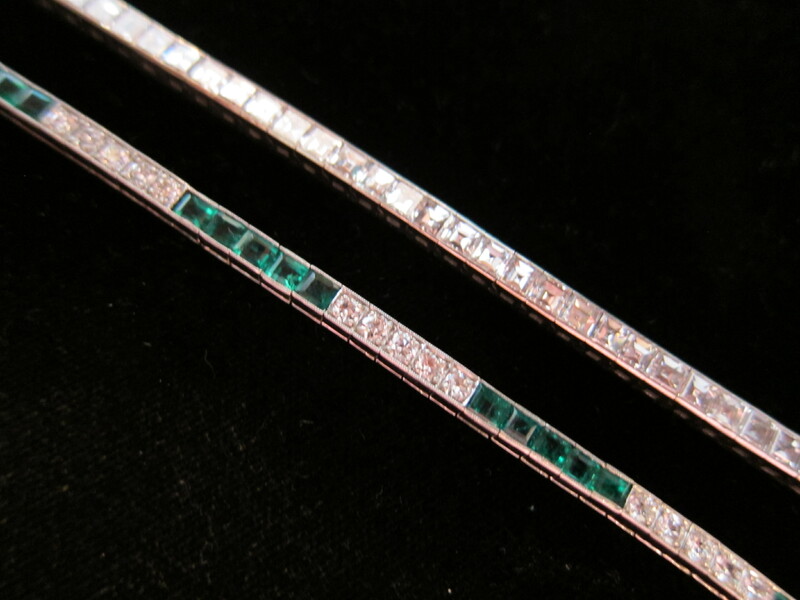 interpreted the geometrical severity of Art deco jewelry by using an abundance of precious gemstones. A new direction evolved towards the very latter part of the Thirties, and the beginning of the Forties, with yellow gold again taking over from platinum as the favored metal of choice in this 'almost' antique jewelry period. With the 'Depression' and economic crisis of the 1930's and the outbreak of war, and the fact that gold was less expensive it became popular when making antique jewelry from this time period. Also to compensate for a shortage of precious gem stones, the size of these soon to be antique jewelry pieces increased, and assumed almost sculptural dimensions. In the next blog we will break down the Art deco period, to look at the three different styles in this one period. 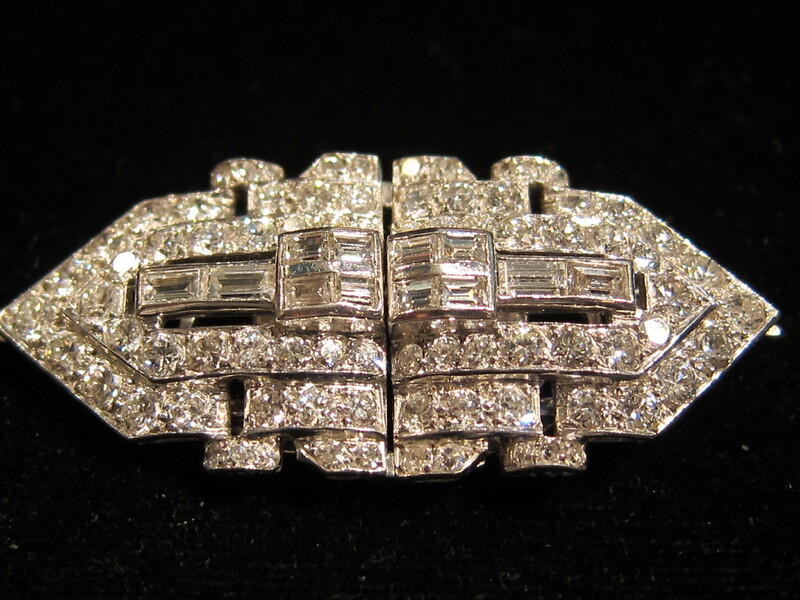 If you go to my website you can see a selection of some of the many pieces of the Art deco jewelry that can be found at Beverley R Jewelry of Chicago.